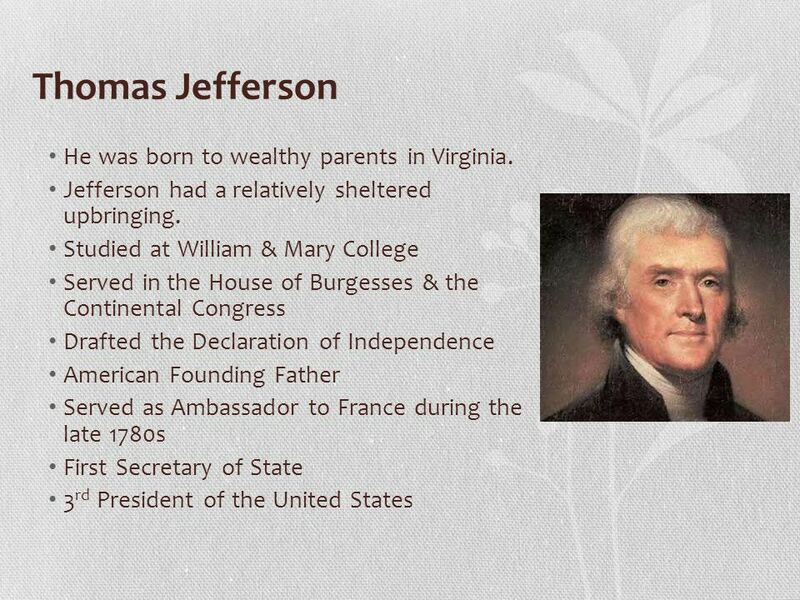 3 Thomas Jefferson He was born to wealthy parents in Virginia. 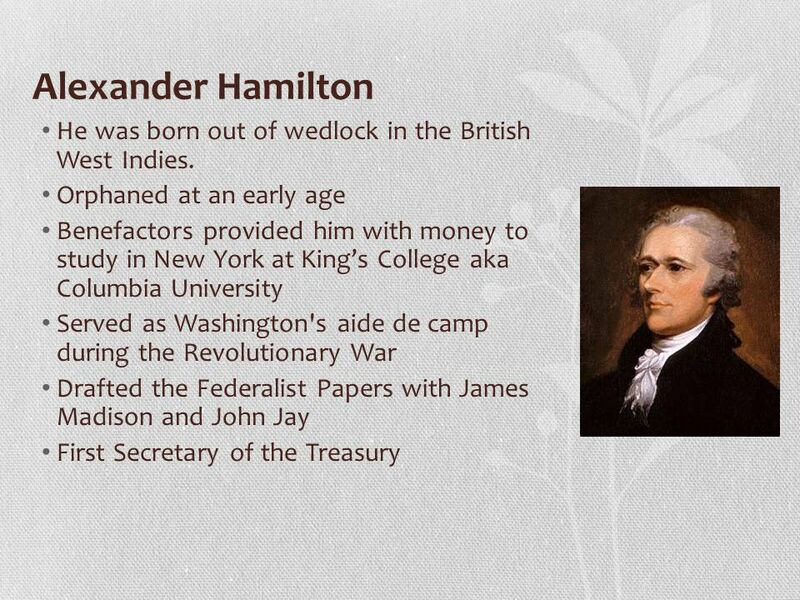 5 Federalist Papers Series of 85 essays or articles promoting the ratification of the United States Constitution Written by Alexander Hamilton, James Madison and John Jay. 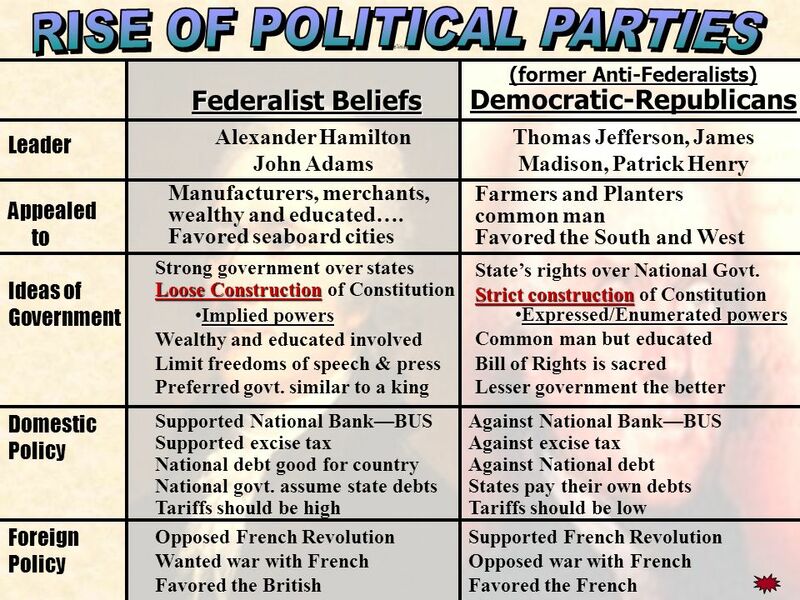 The authors of The Federalist Papers wanted both to influence the vote in favor of ratification and to shape future interpretations of the Constitution. Another purpose that The Federalist was supposed to serve was as a debater's handbook during the ratification controversy, and indeed advocates for the Constitution in the conventions in New York and Virginia used the essays for precisely that purpose. 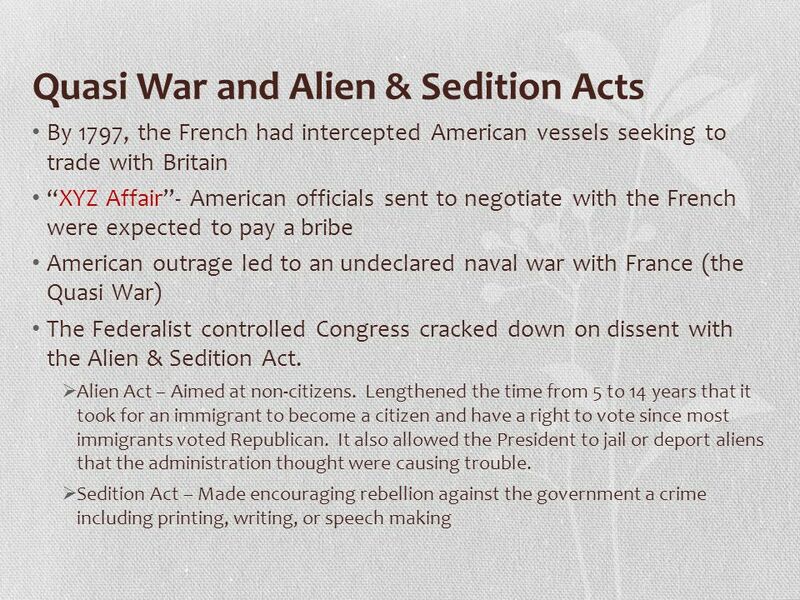 The Federalist Papers are known for their opposition of The Bill of Rights. 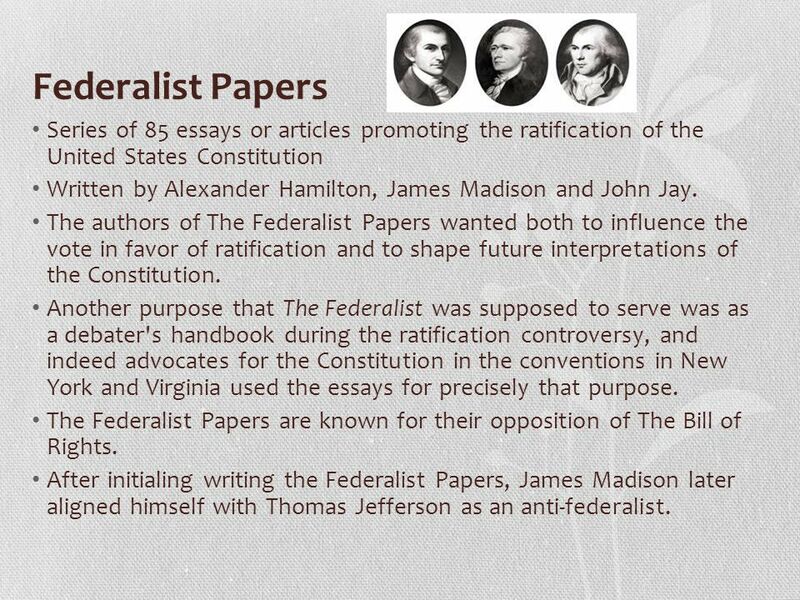 After initialing writing the Federalist Papers, James Madison later aligned himself with Thomas Jefferson as an anti-federalist. 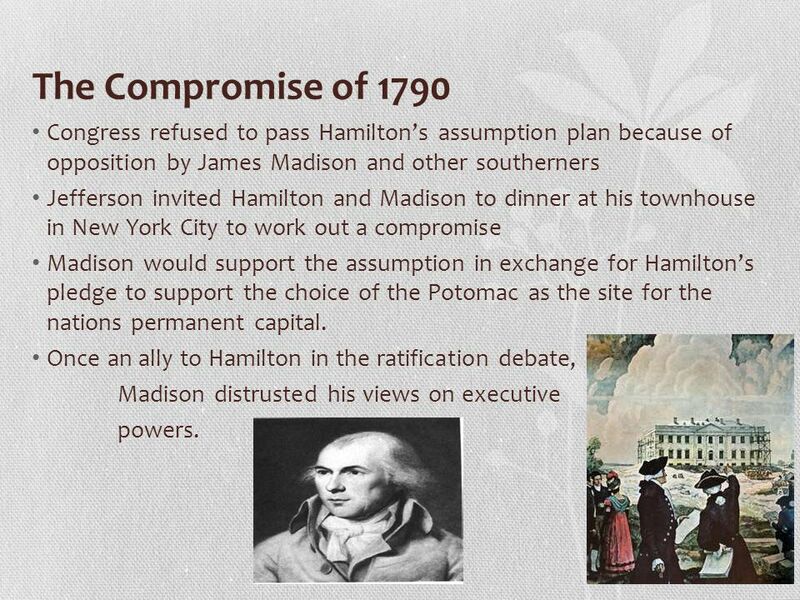 8 The Compromise of 1790 Congress refused to pass Hamilton’s assumption plan because of opposition by James Madison and other southerners Jefferson invited Hamilton and Madison to dinner at his townhouse in New York City to work out a compromise Madison would support the assumption in exchange for Hamilton’s pledge to support the choice of the Potomac as the site for the nations permanent capital. Once an ally to Hamilton in the ratification debate, Madison distrusted his views on executive powers. 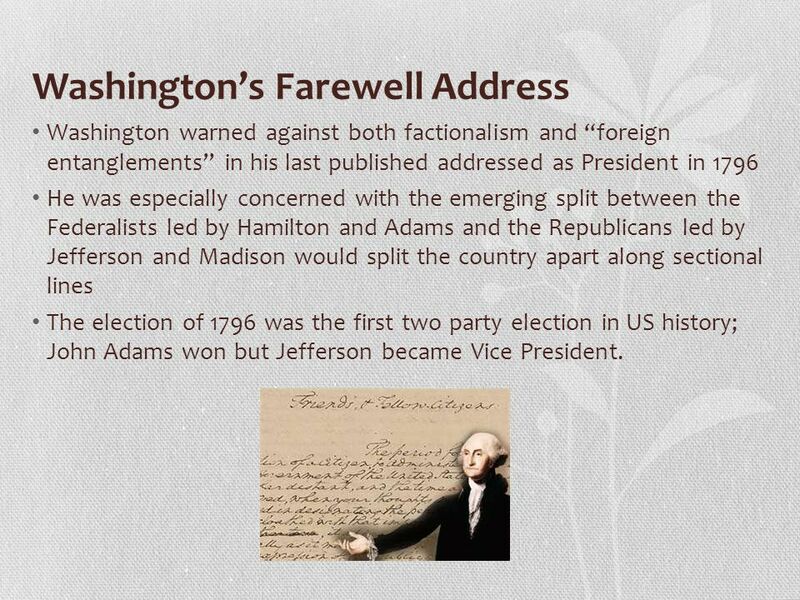 Washington warned against both factionalism and “foreign entanglements” in his last published addressed as President in 1796 He was especially concerned with the emerging split between the Federalists led by Hamilton and Adams and the Republicans led by Jefferson and Madison would split the country apart along sectional lines The election of 1796 was the first two party election in US history; John Adams won but Jefferson became Vice President. 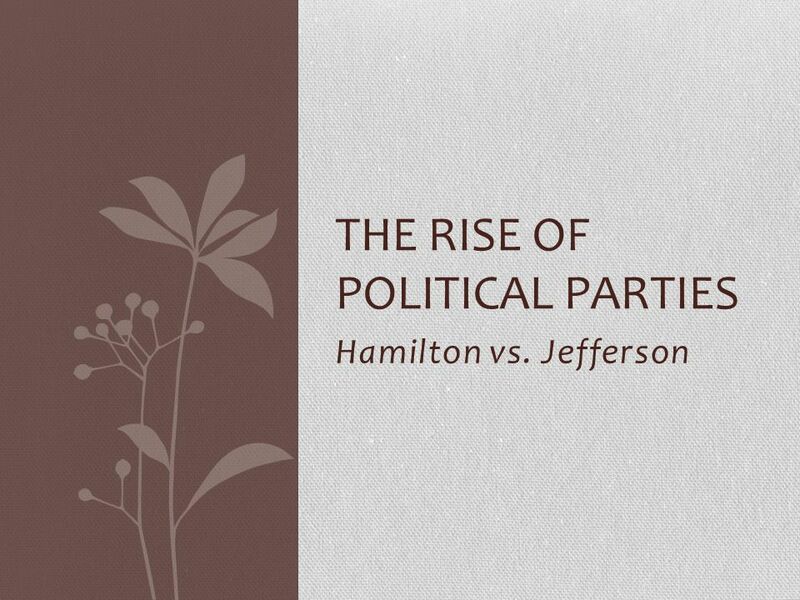 Download ppt "The Rise of Political Parties"
Hist 110 American Civilization I Instructor: Dr. Donald R. Shaffer Upper Iowa University. The New Republic The Presidencies of George Washington, John Adams, Thomas Jefferson, James Madison, and James Monroe. 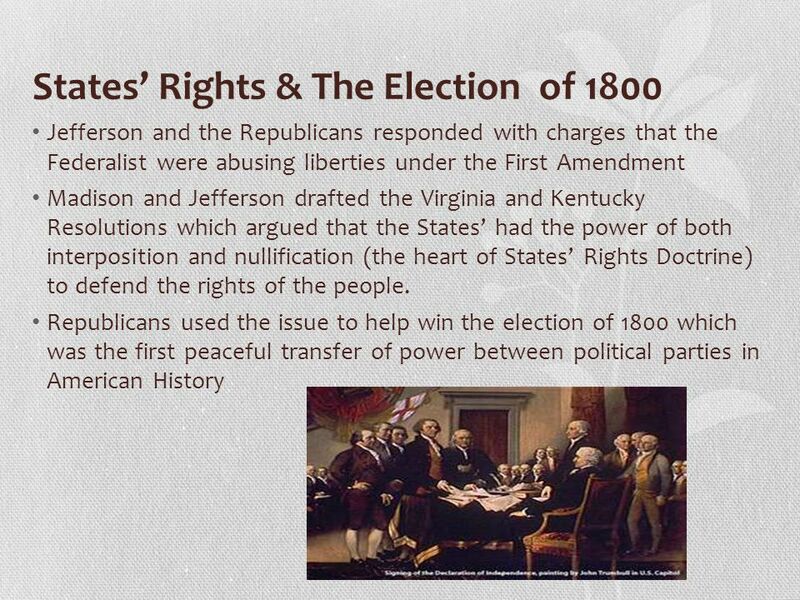 The Constitution at Work *Who were the first Presidents under the Constitution? *What does “unwritten Constitution” mean? *What issues threatened. 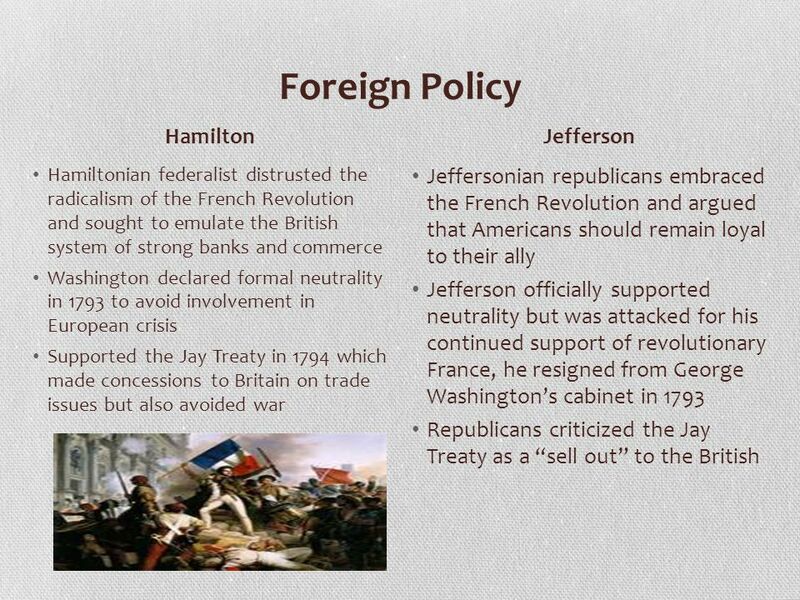 Washington Administration: Precedents First Cabinet –Thomas Jefferson: State –Alexander Hamilton: Treasury –Knox: War Serves Only Two Terms Does Not Interfere. 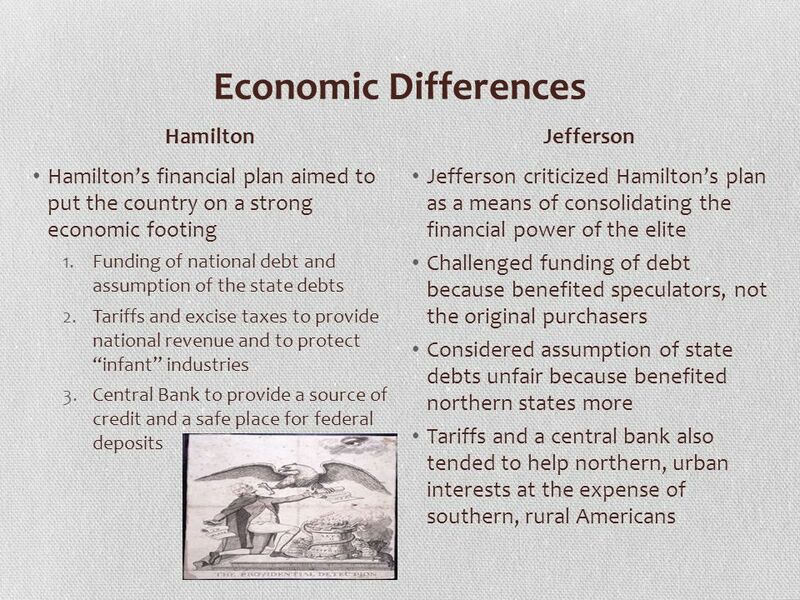 Hamilton vs. Jefferson : Balancing Order & Liberty. George Washington Chosen unanimously as 1st President John Adams VP Inaugurated in New York 4/30/1789 Thomas Jefferson – Sec. of State Alexander. 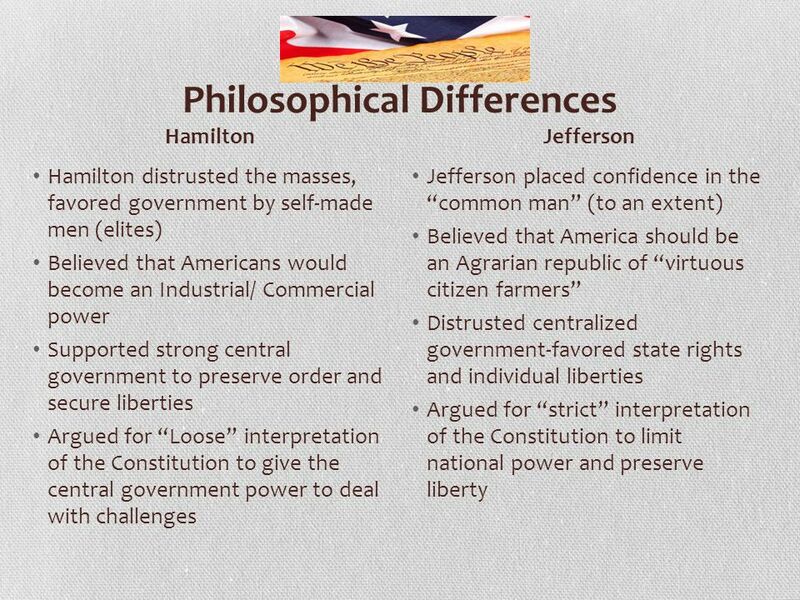 The Early Republic Conflict between Thomas Jefferson and Alexander Hamilton. 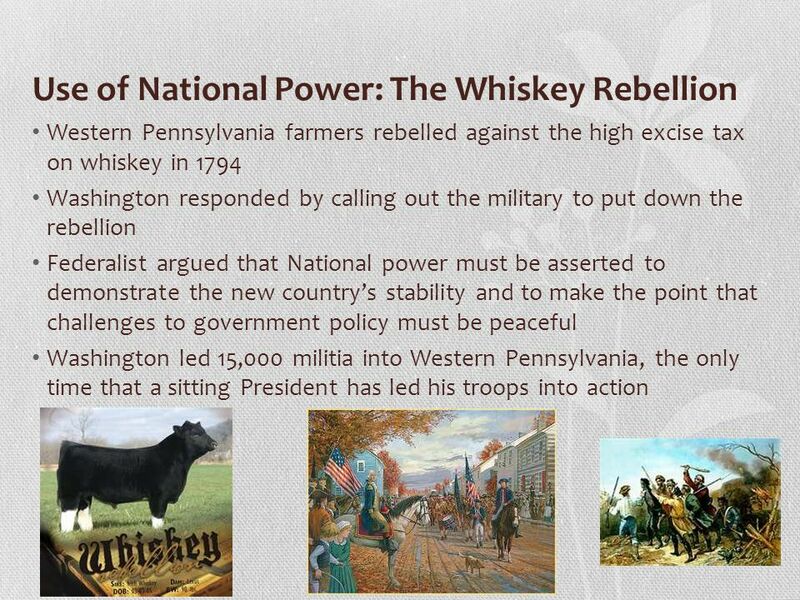 Whiskey Rebellion To help pay off the war debt, Washington started to tax whiskey. Rural farmers who grew the grain to make the whiskey were angry. They. Launching the New Republic.  Inaugurated in NYC  Felt enormous burden  Precedent-sets example for others.